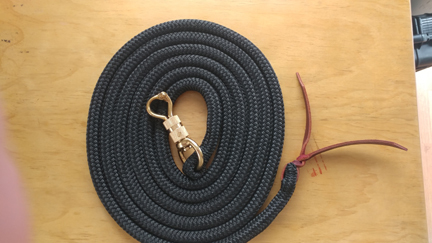 This 12 ft. lead rope is constructed from high quality 5/8" double braided polyester yacht line. This hand made piece is equipped with Ring and Carabineer at one end and a premium latigo popper at the other in a choice of 5 colors. 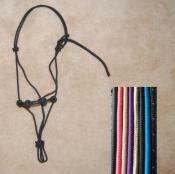 This lead rope is built to Mr. Simonetti's specifications and is the recomended tool for his training method.